January is always about getting organized in our home. We have new items we have to find homes for and, of course, the hustle and bustle of the holidays left the house in a disorganized mess. These 25+ organizing and storage ideas are perfect for starting the new year off with a more organized space. 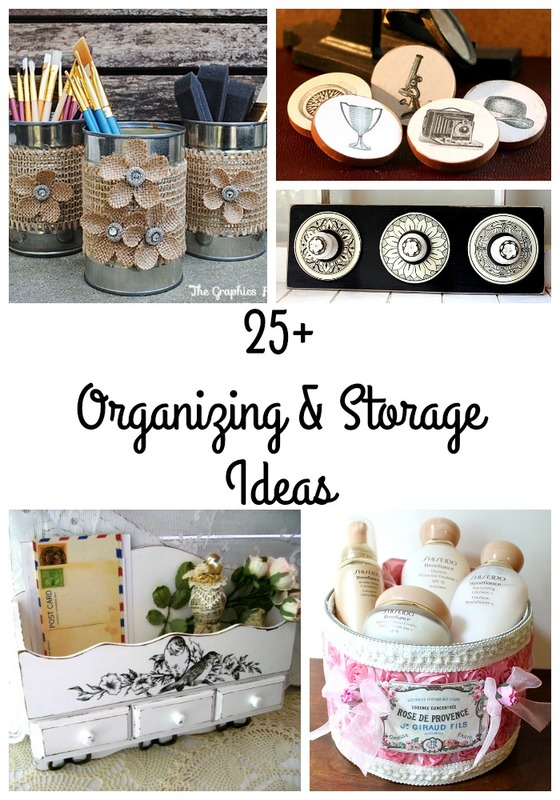 From major DIY projects to small ideas what you can use in your organizing endeavors, this list has a little bit of everything! Hopefully you will see something to get you inspired to grab a graphic from The Graphics Fairy and start creating. 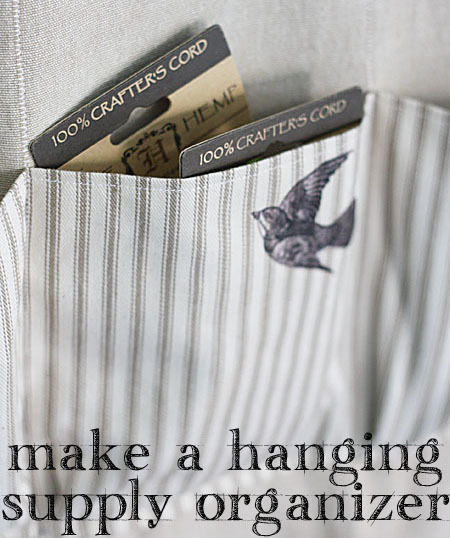 Gina created this hanging supply organizer and added the perfect bird image to finish it. 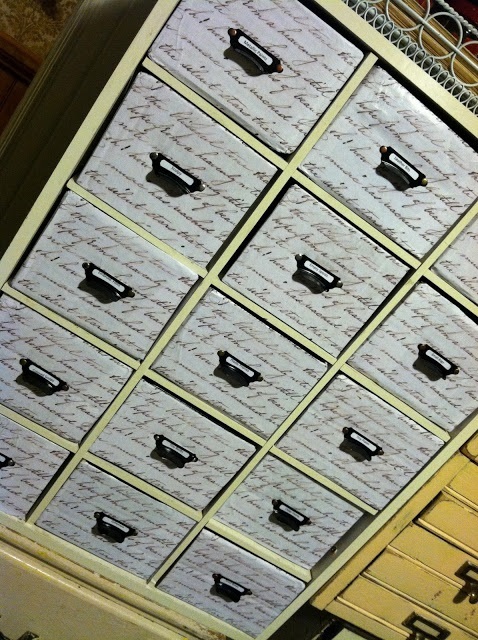 This great set of file drawers was created by Pollyana Reinvents. I love the use of the handwriting graphic on the front of the drawers. Gina created this awesome mason jar pin cushion which is great for storing all of your sewing supplies. Of course, the vintage sewing machine she used on the top is perfect. 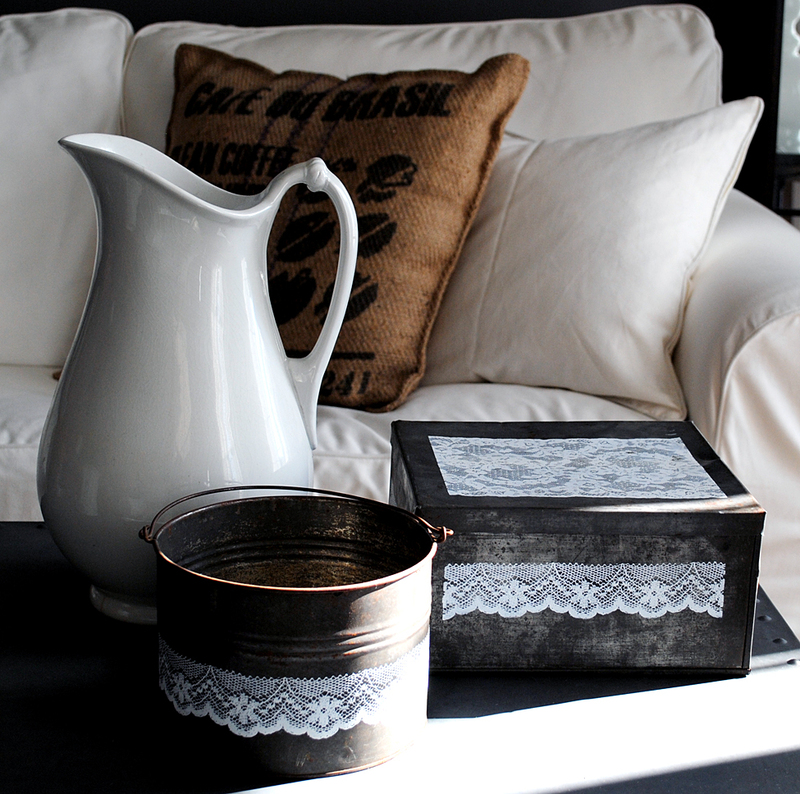 These DIY vintage tins,with a lovely lace detail, are perfect for storing things in plain site around the house. 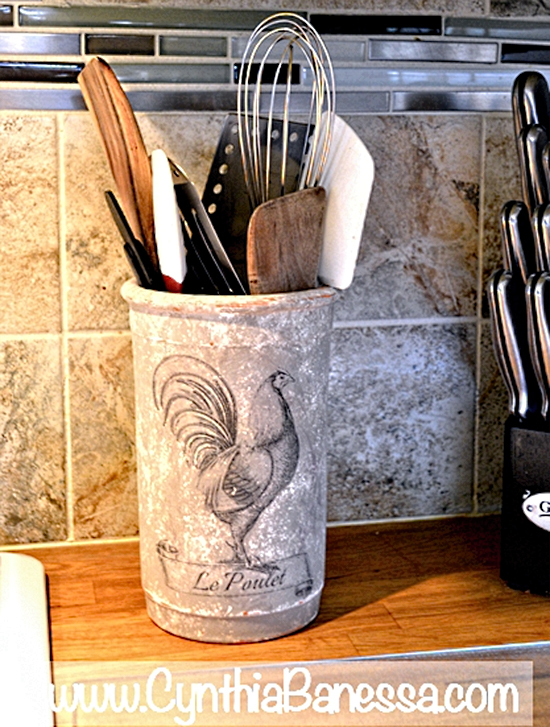 Use clay pots and create customized kitchen storage like Cynthia Banessa. Images like the French chicken that she used look great on them. 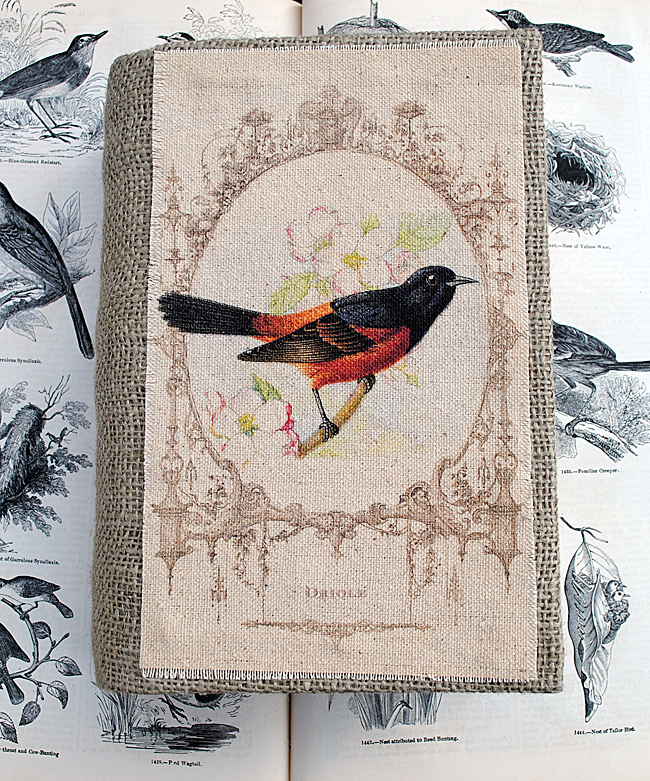 Create a book box, like this burlap, for extra storage on your bookcase or around the house. 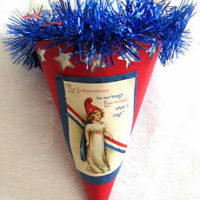 The image used for it can be found in the tutorial. I love magazines so I end up with a bunch in the house. 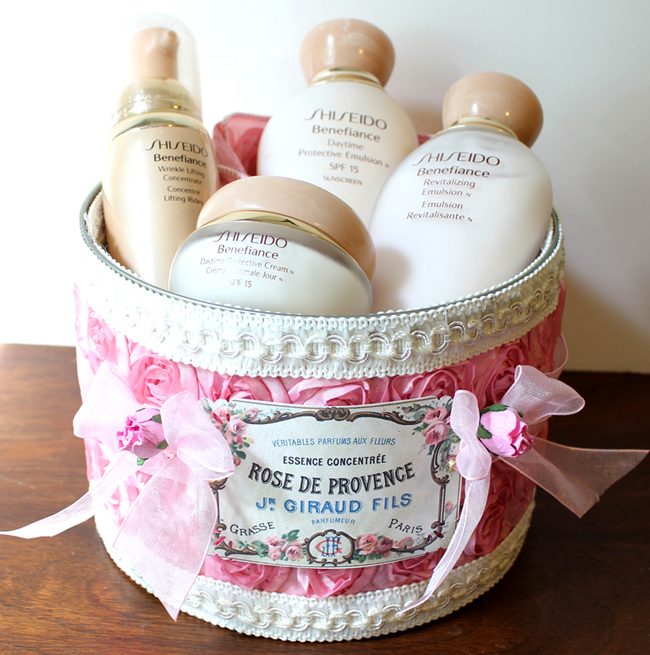 This gorgeous French inspired magazine rack is the perfect solution to getting them organized. Of course, it wouldn’t be complete without the perfect French graphic. 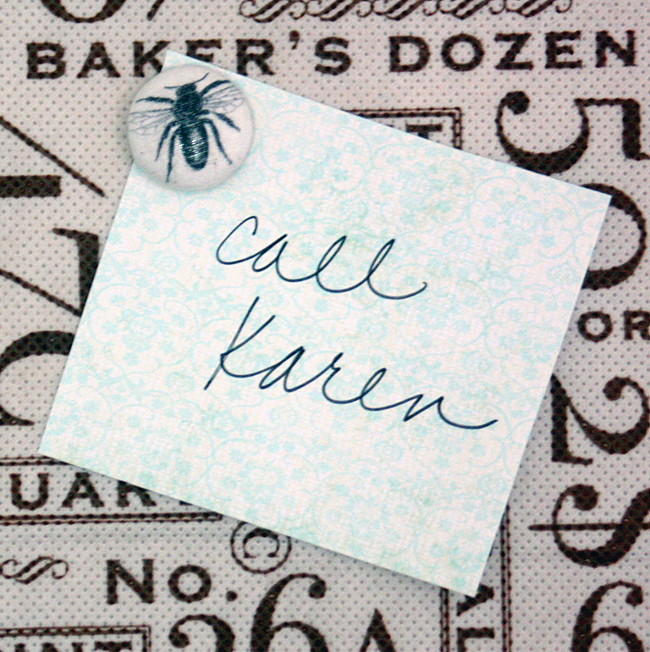 For a quick and easy project, try these super cute bee thumb tacks that Gina made using the bee graphic. 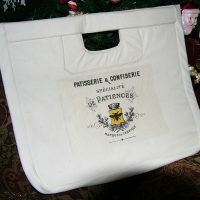 This French Patisserie bread box, from Unique Junktique, looks so great with the French Patisserie typography image. 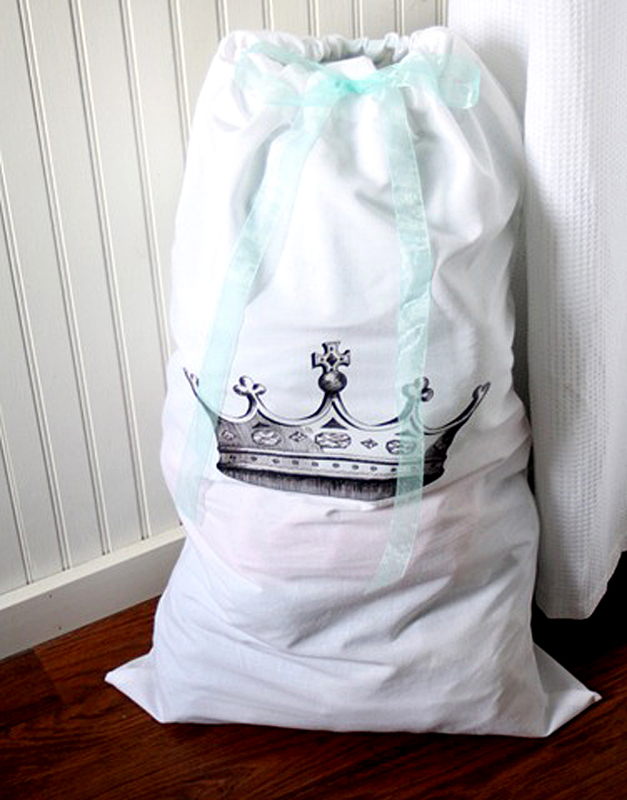 Gina shared a tutorial for creating a custom laundry bag. This one is French inspired with the black and white crown on the front. 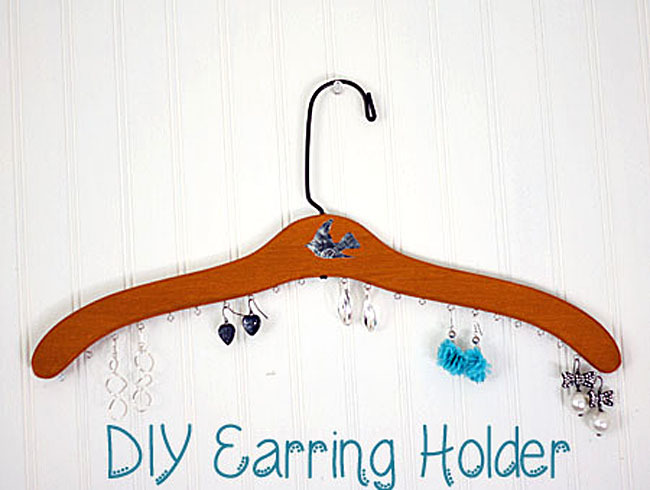 Create your own earring holder with just a few supplies, like the dictionary bird image, and this tutorial from Gina. 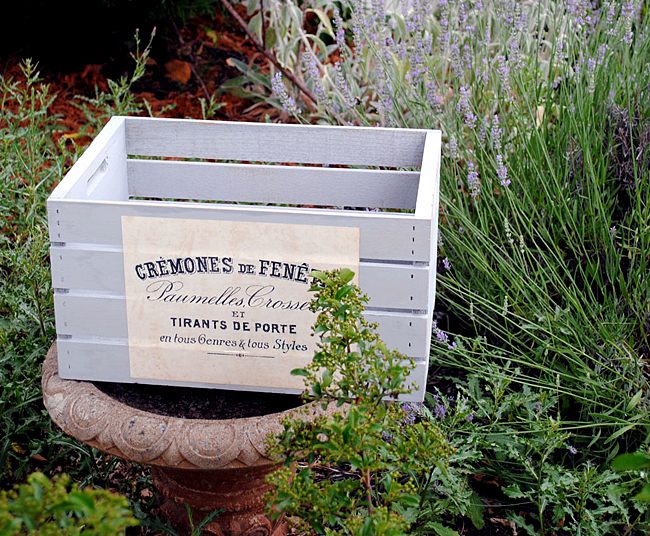 This French storage crate, featuring the beautiful French typography, is a great way to get organized. 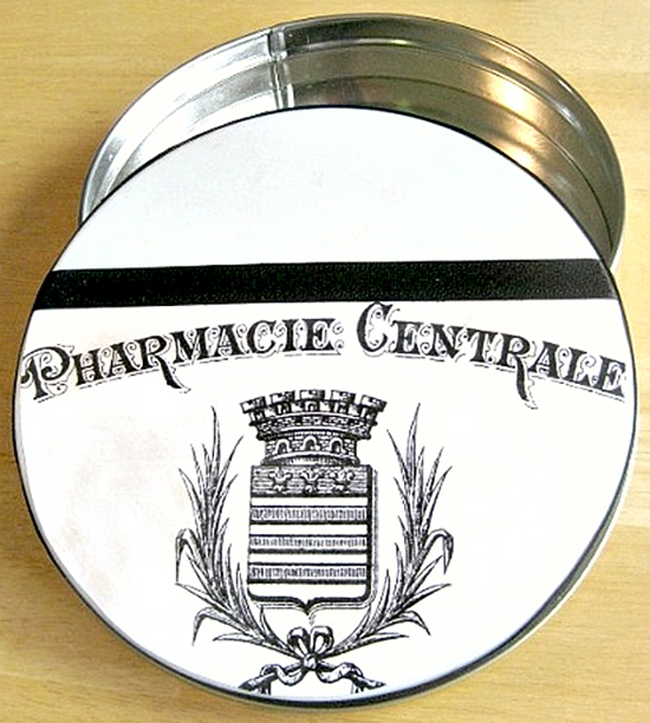 Organized 31 created this pharmacy label tin using the French pharmacie label. It is perfect for storing small items like paper clips or thumb tacks. 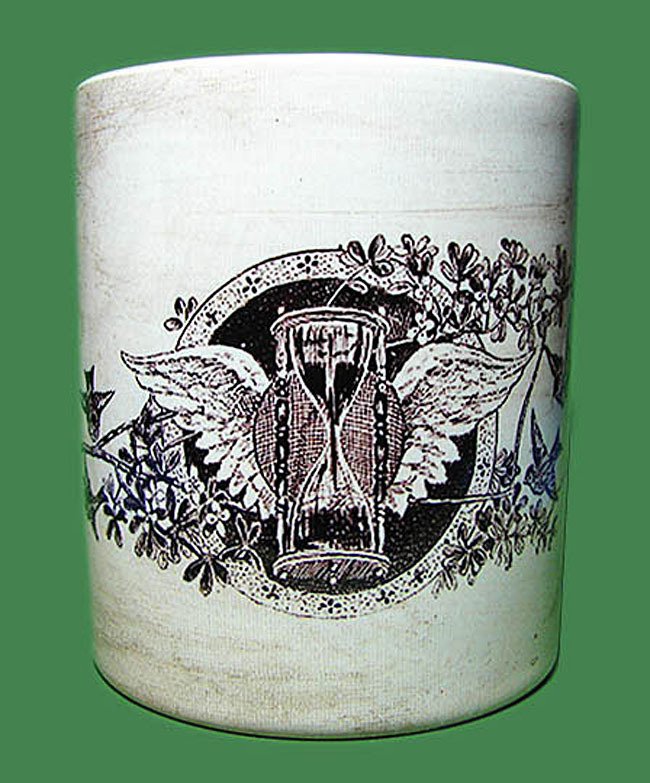 Romy, from Inkiu, created this pencil holder featuring the winged hourglass image. 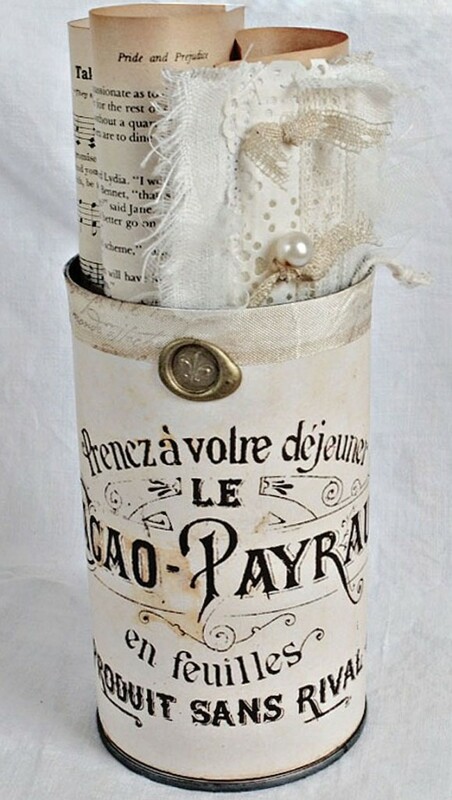 Organize toiletries or other bathroom items with this beautiful Parisian perfume pail from Andrea. The French perfume label is the perfect finishing touch. 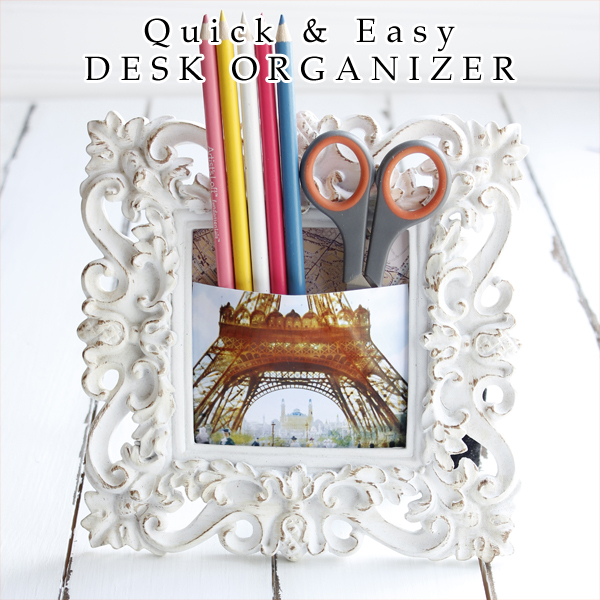 Andrea created this great desk organizer and used the Eiffel tower image to give it a French theme. 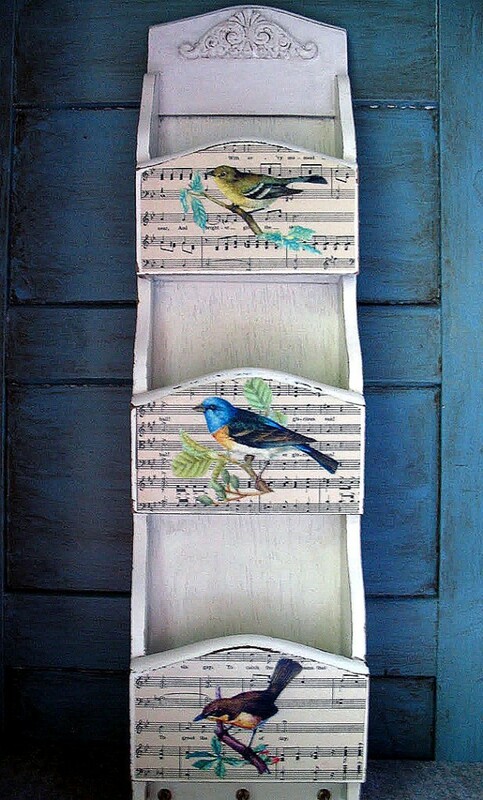 This shabby wall organizer, featuring several different birds, comes from Kristy’s Chic Boutique. 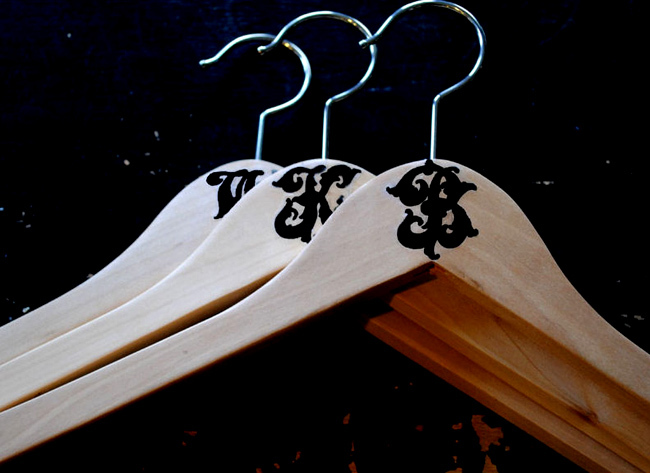 A set of monogrammed hangers are a great way to organize your closet. Get all of the images you need in this easy tutorial. 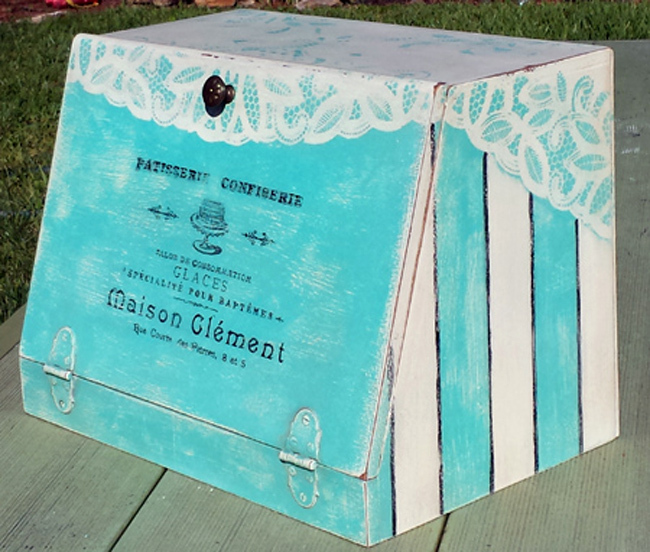 Tales from an OC Cottage created this decorated can which is perfect for storing lots of different items. The French chocolat cacao image definitely completes it. 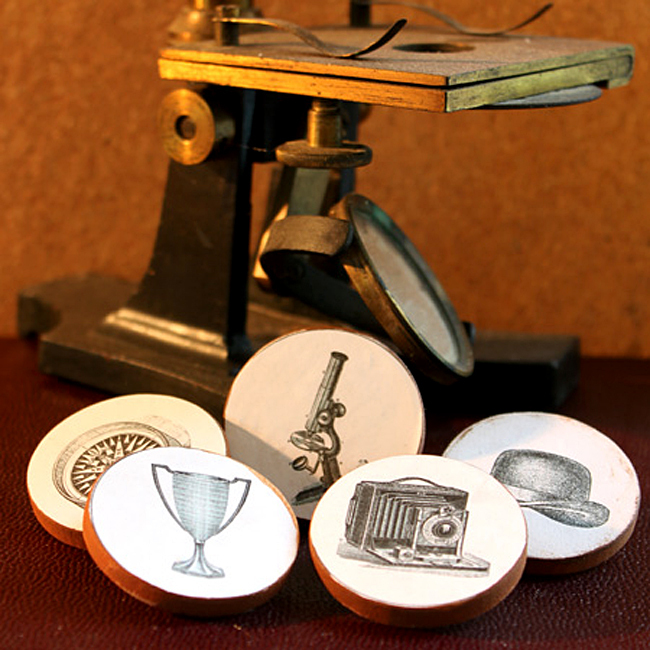 Andrea created these steampunk thumb tacks using several different images that you can get from her tutorial. 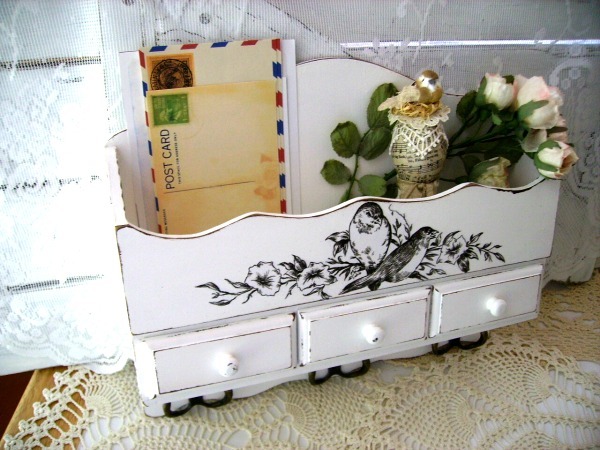 This bird mail sorter, from My Shabby Chateau, looks great with this bird image! 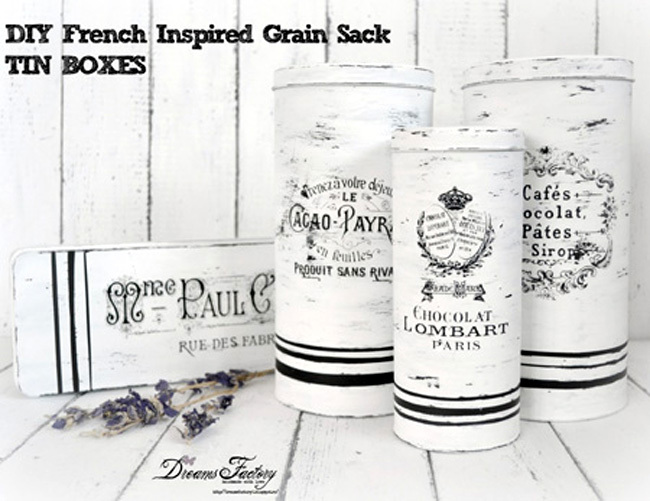 These grain sack tins, from Dreams Factory, are a great way to create stylish storage. Grab the Paris chocolat label for the perfect finishing touch. She also shares other images in her tutorial. 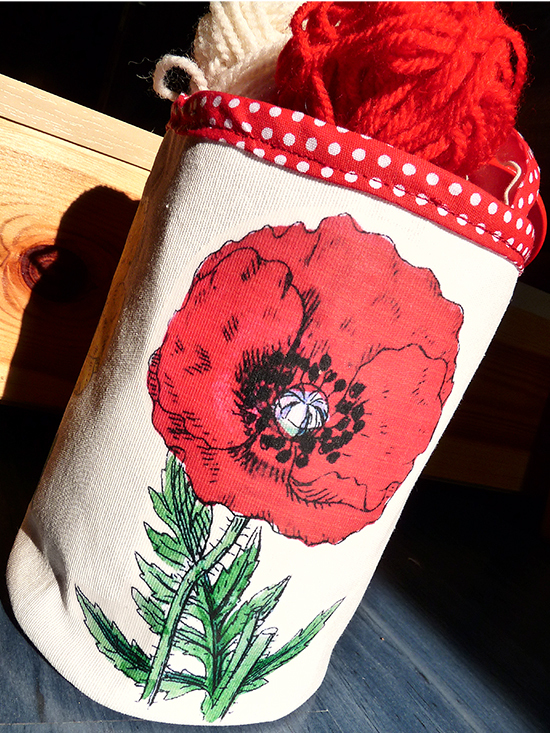 This poppy storage bag, from Rana Mama Kockoja, is a colorful way to store all kinds of stuff from yarn to toys. The poppy clip art looks so perfect on the front. 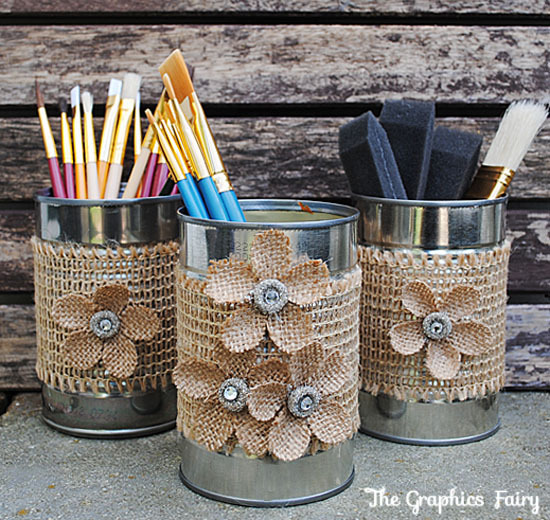 This organizer, made out of recycled cans, is an expensive way to organizer an office space or kitchen. 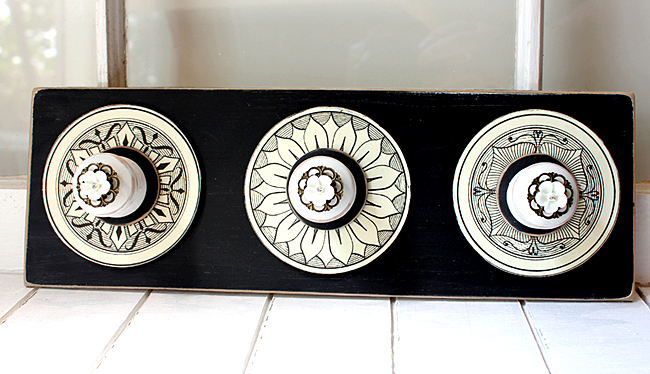 Gina created this antique style wall organizer, using the antique medallion images, which would be perfect for storing necklaces or scarves. 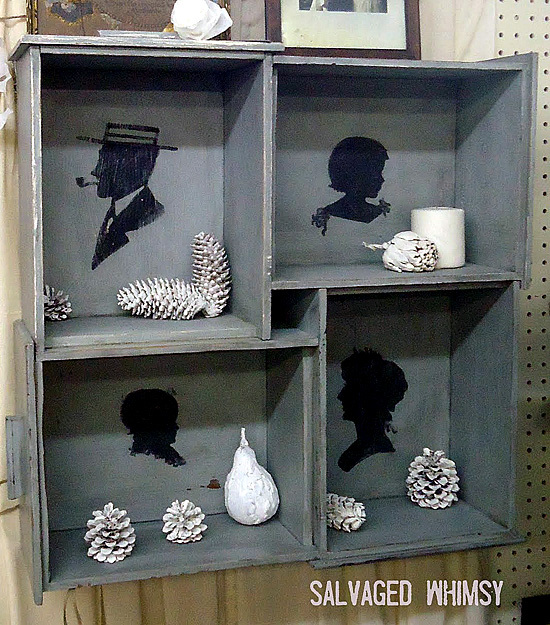 There is always room for shelves like this silhouette one from Salvaged Whimsy which features silhouette images. Gina created this wooden crate storage cubby, featuring this great image, which is perfect for storing pretty much anything! 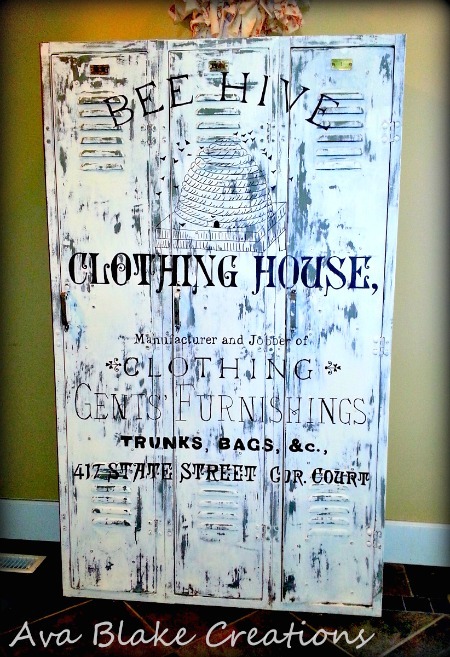 These painted lockers, from Ava Blake Creations, look great with the Bee Hive clothing ad on the front. « Vintage Asian Design Image – Super Pretty! I’m so excited to get started on these lovely organizing projects. Thanks for including my repurposed Pharmacy tin. You’re welcome Susan! I love your tin!! 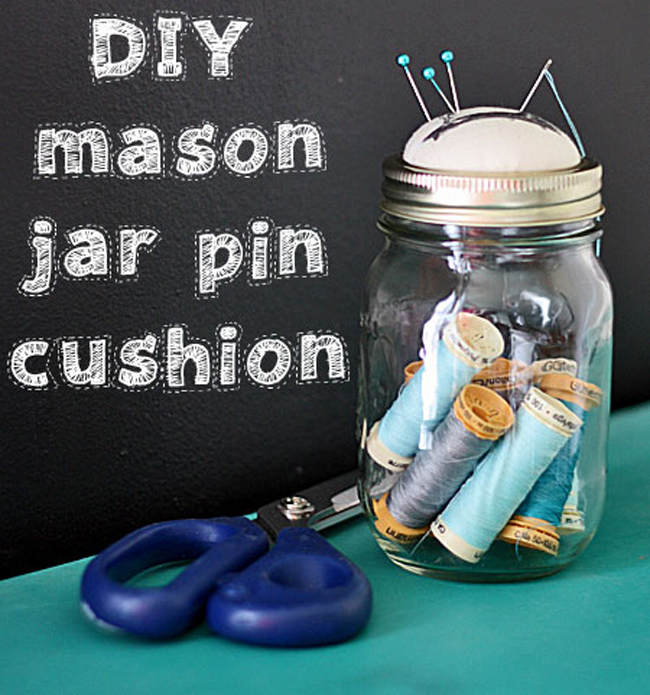 Great ideas and going to use that mason jar pin cushion idea!! !